These offers are free with the purchase of the Cosmic Cobat (2014) Bicycle. The Cosmic Cobat (2014) has a sturdy, steel frame designed for teenagers and young adults. The Cosmic Cobat (2014) comes equipped with a 21-Speed, Shimano Tourney drivetrain and the shifting is controlled by Shimano RS-35 shifters. The Cosmic Cobat (2014) has front and rear disc brakes, controlled by alloy brake levers. The Cosmic Cobat (2014) has rigid suspension. The Cosmic Cobat (2014) has 26" tires fitted on Single Alloy, 36-holed rims. The Price of the Cosmic Cobat (2014) is Rs.12999. 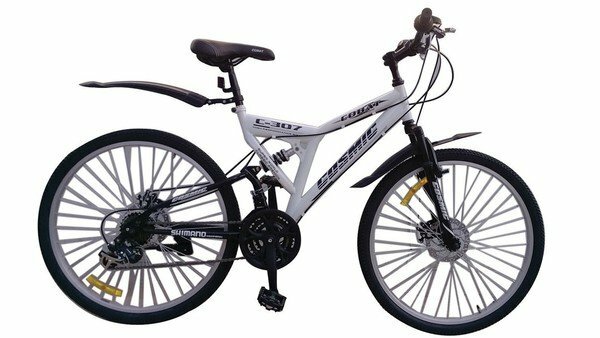 The Cosmic Cobat (2014) is an ideal starter bicycle for teenagers and young adults looking to use the bicycle for commute/ fitness purposes. The bicycle can also be used on medium-long distance rides. 2. In what condition will I get the Cosmic Cobat (2014)? 6. How will I know if Cosmic Cobat (2014) will fit me without riding it? 7. How long will it take for me to receive the Cosmic Cobat (2014)?